From Pop corn to cotton candy, candy floss and snow cone syrup. Also offering a variety of paper straws and candy bar jars and candy bags. Throwing a big party or hosting an event? Edmonton Wedding & Party Centre is the original one stop shop for all your concession supply and event needs! We have popcorn, cotton candy, snow cone, candy floss supplies, as well as many other items to make your event one to remember. Available in 10 different colors and designs, our candy bags are a colorful way to spruce up a candy bar or concession stand. Our candy bags are perfect for treat bags at a child’s party or a fun favour option. Nothing says party quite like popcorn. Shop our popcorn supplies today at 6010 99 St NW in Edmonton. Take your party from flat to fabulous with paper straws! Oh so cute and utterly trendy, our collection of paper straws are a simple and popular way to serve drinks. Available in over 30 different designs, our paper straws are the perfect way to brighten up any party. 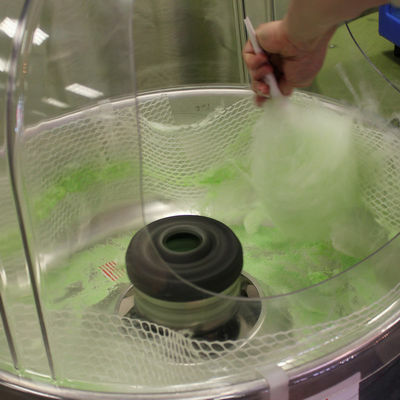 Edmonton Wedding & Party Centre carries the candy floss supplies you need to make cotton candy; including floss bag and cones. Our floss sugar is available in Blue Raspberry, Cherry, Lemon, Grape, Orange, Green Apple and Maple. Please inquire for availability of flavours. Did someone say sweet? We carry various candy dishes for purchase. If you cannot find what you are looking for, our rental division Special Event Rentals offers tons of options perfect for a candy or sweets bar. No matter the season, sno kones are a popular choice for events! Shop our extensive collection of sno kone supplies including shape cups and sno kone syrups available in 7 different flavour options.